Heather believes that human relationships are one of the most important elements in our lives and that we need healthy, supportive human connections in order to thrive. Heather possesses an easy warmth and sense of compassion that are immediately evident and allow her to form connections with people of all ages and backgrounds. She sees the best in people and thrives on helping others in overcoming challenges, recognizing their unique strengths, and finding hope in even the most difficult situations. 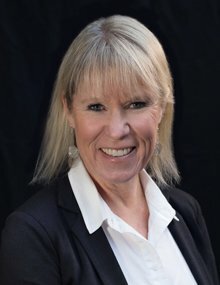 With almost three decades of experience in Canadian and U.S. boarding and day schools, Heather is uniquely positioned to assist adolescents, teens, and their families in navigating this ever-changing world. Appreciating the complexities families are facing, she provides Parent Education and is experienced in addressing areas of struggle and conflict between children and their parents. Heather has worked with families from around the world and understands that issues of culture and ethnicity impact the way people see themselves and interact with the world. Heather uses a variety of practical modalities when she works with children, youth, individuals, and families. She treats depression, anxiety, trauma, and provides anger management for all ages. She helps families as they transition through divorce and separation and brings her practical skills to helping families in conflict. As the proud mother of two teenage boys, Heather believes in the tremendous power of optimism, role-modeling, and showing resiliency through moments of transition and change. Her positive outlook and attitude have been key in helping her to overcome the inevitable hurdles and obstacles life presents. Heather works with people of all ages and brings empathy, humour, and genuine respect to all those she meets. Her collaborative, warm style is coupled with the belief that each individual and each family is unique and complex, requiring a tailored, personalized treatment approach. It brings Heather pleasure to assist clients tap into their inner strength, find joy where it was lost, and overcome challenges they are facing.